Encinitas is a city rich in culture and art. In fact, the largest industry in Encinitas is growing ornamental flowers, poinsettias in particular. It’s also home to the famous (or infamous, depending on your opinion) Surfing Madonna, a mosaic depicting the Virgin of Guadalupe hanging ten. There are several unique and interesting sights to see in Encinitas, yet the ones with which we are most familiar are our clients’ garage door systems. At Elite Door Systems, we take pride in the artistry involved in creating, installing and maintaining some of the most beautiful and efficient garage door systems on the market. Elite Door Systems has access to most makes and models of garage door systems and components. We offer some of the most flexible appointment scheduling in the business and extremely competitive pricing. 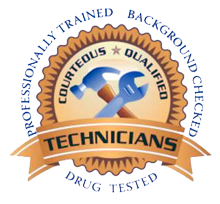 Our technicians are among the highest trained, most experienced you’ll find and we care for each and every client as though you were members of our family. Which in a sense, you are. Garage door springs make it possible for your garage door opener to lift and lower doors that may weigh as much as a few hundred pounds. When your garage door is open, the garage door springs support that weight, keeping it open. As with any component in a moving system, garage door springs eventually wear out and break. We offer an annual inspection and preventative maintenance service to help keep your garage door system at peak operating efficiency and safety. This enable us to tell you when your garage door springs are getting close to wearing out and failing. By knowing in advance, you have the opportunity to nip any problems in the bud. If your garage door springs are near the end of their useful life, we’ll be happy to replace them for you. This is a job that should only be done by qualified professionals. One wrong move and the garage door spring could snap back causing great property or bodily damage. At Elite Door Systems, we have the necessary experience, training, tools & parts to make the task quick, easy and safe. We don’t believe in hidden fees, so the price we quote is the price you’ll pay. We don’t “upsell,” either. We won’t come to repair your garage door springs and try to sell you a new garage door opener if your current system is still good. Give us a call today and let Elite Door Systems handle all of your garage door system needs.